Our Interactive Floors are the best virtual sensing media displays. These interactive floors are made used for Events, Gaming Zone, Presentations and Marriages. There is a gesture mounted in this to sense our motions and make changes on the projection area. We are offering a wide range of Outdoor Rubber Flooring to our customers. These Rubber Floooring are Made of 100% recycled rubber and polyurethane binder. Outdoor Rubber Flooring is suitable for road, playground, school, kindergarten, Weight room, exercise areas, golf club houses, etc. 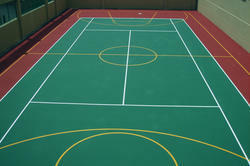 Our proficiency enables us to provide a complete range of Rubber Sports Flooring. 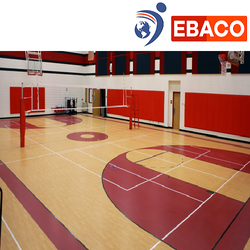 Moreover, we are engaged in installing synthetic rubber flooring at store fronts, horse stables and playgrounds. Rubber flooring comprises glass fiber strength-layer, PVC foaming shock layer and PVC wear-resisting layer. These products are highly demanded by our clients located across the globe.